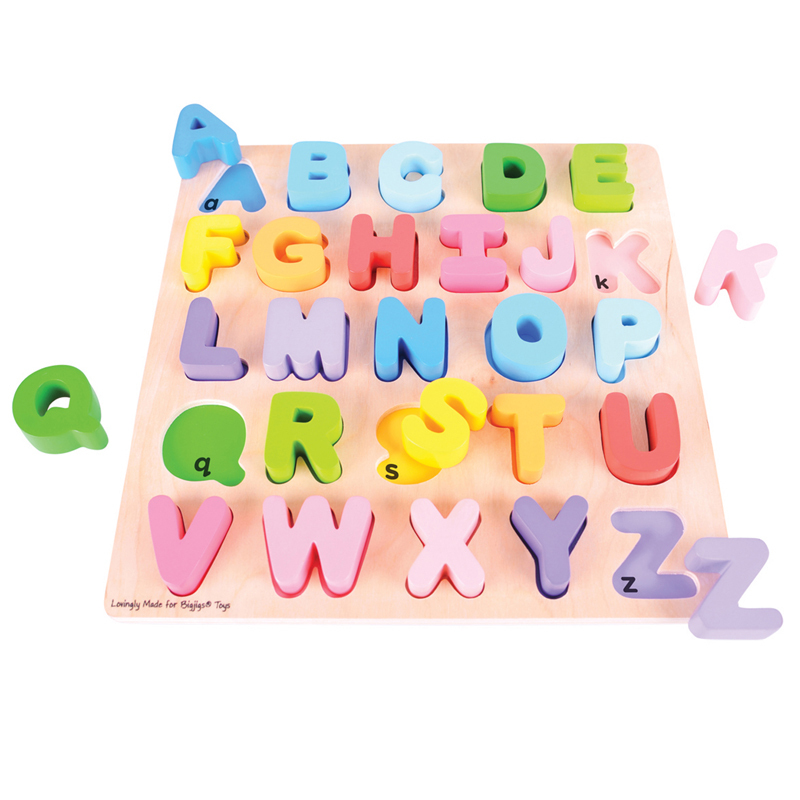 Learning the alphabet and how to spell need not be daunting with the help of this brightly colored wooden puzzle. Each individual letter is color co-ordinated with its base slot to help develop recall and recognition skills. Each chunky wooden puzzle piece is generously sized to make it easier for little hands to lift, grasp, examine and replace. Helps to develop dexterity, matching skills and concentration. The wooden base boards of Bigjigs Toys puzzles are printed with images or colors to aid the learning process and add educational value. Made from high quality, responsibly sourced materials. Conforms to current U.S. safety standards. Age 18+ months. Height: 11 in, Width: 11 in, Depth: 1 in. 26 puzzle pieces.